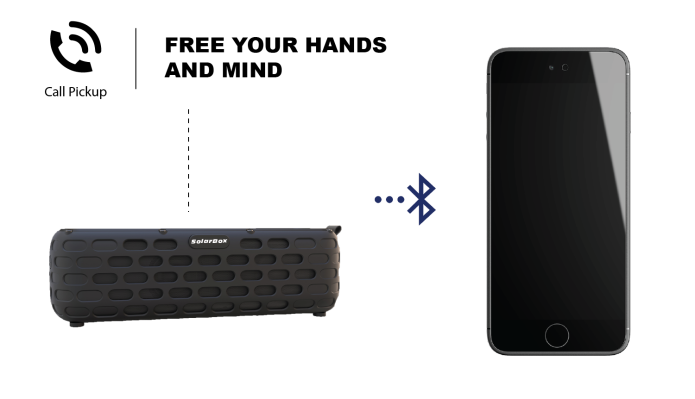 Solar charging, 60-hr battery life, IPX-5 Waterproof, high-fidelity audio, LED light, Bluetooth. 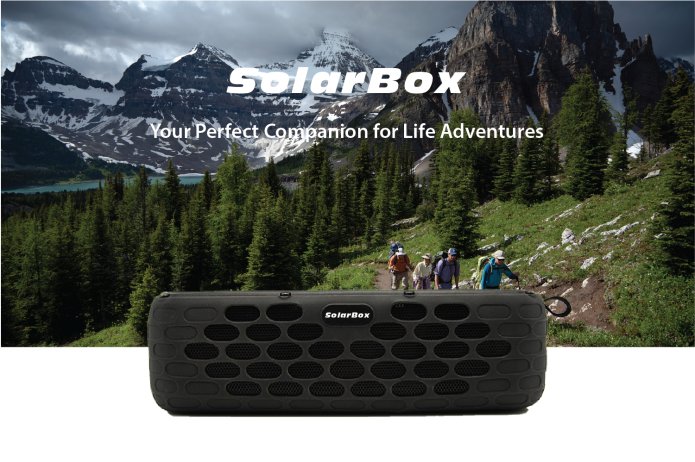 The SolarBox is the world’s most affordable and powerful solar powered speaker – just 10 minutes of solar charging will let you play music for 30 minutes! With rugged construction paired with crisp audio quality, free yourself from outlets and enjoy music on all of your adventures. Wherever there is sun, you have got an instant party! 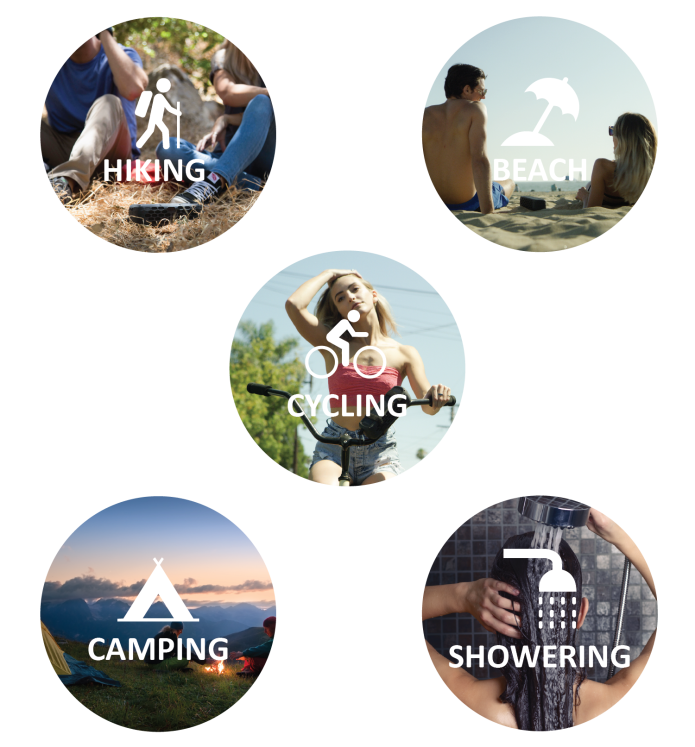 Rock out at the pool, at the campsite or on a hiking trail, guaranteed fun for all. The material of the solar panel of Solar Box is rough, while most similar products on the market utilize smooth solar panels. 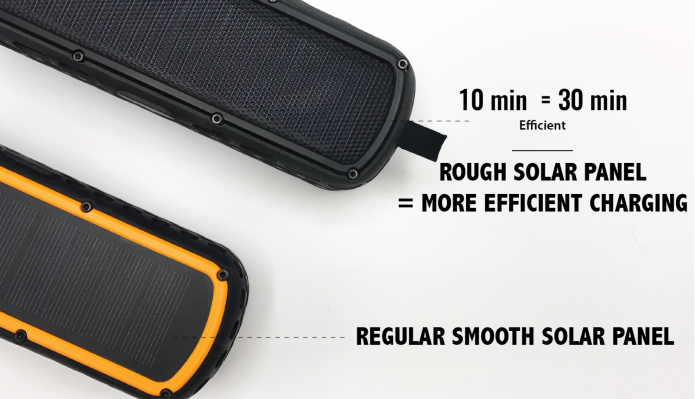 The rough solar panel helps the speaker to receive sunlight more efficiently. 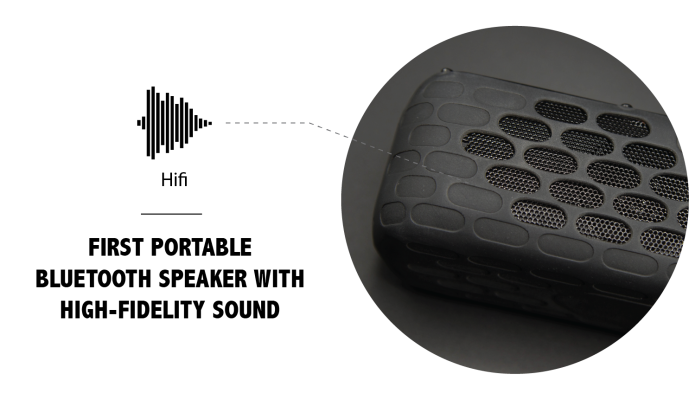 The SolarBox is engineered to travel with it’s durable design and impressive battery life. 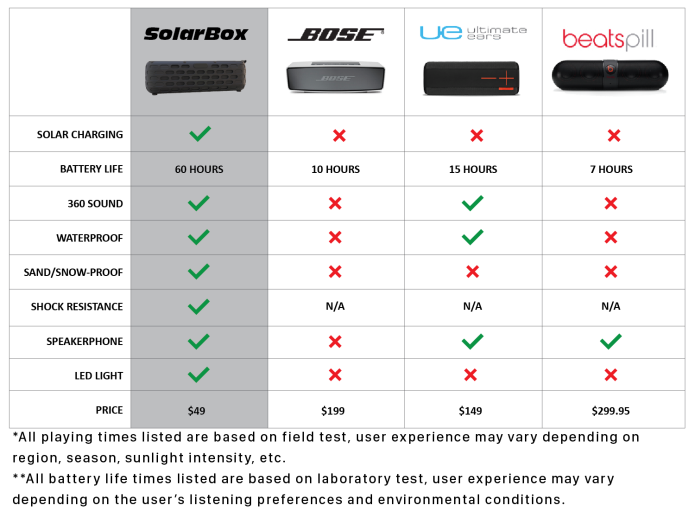 Place SolarBox under the sun for only 10 minutes and SolarBox can play music for 30 minutes* continuously. No electricity? No worries. The eco-friendly solar panel and powerful Lithium Polymer battery of SolarBox generates massive amounts of power to play your tunes all day long. Let the music flow even at night or during cloudy days! 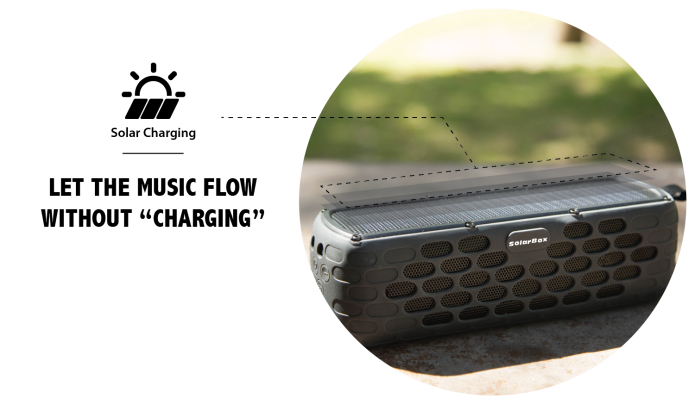 The SolarBox has an IPX-5 waterproof rating so it is ideal to take camping, to the river, or the pool. 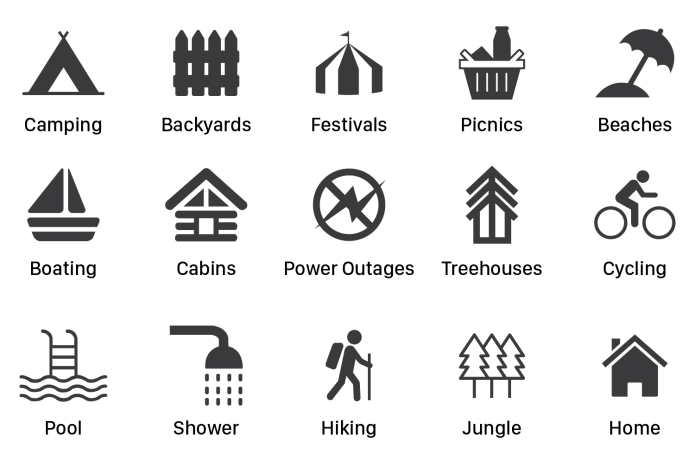 The water resistance rates as IPX-5, which means that SolarBox can stand water jets at any direction. 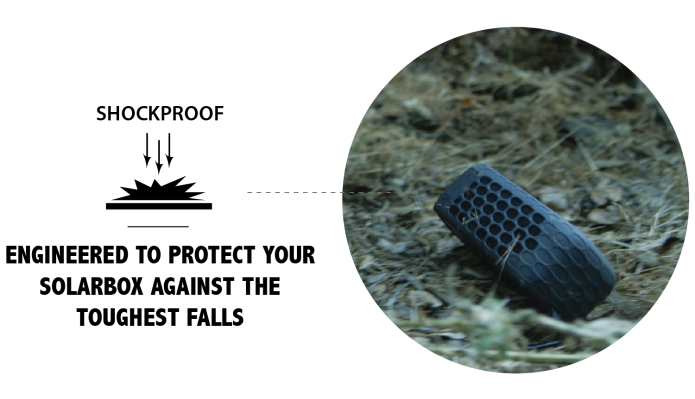 Protected by three layers of solid rubber and silica gel, the SolarBox is capable of absorbing shock and dispersing the impact away if dropped. 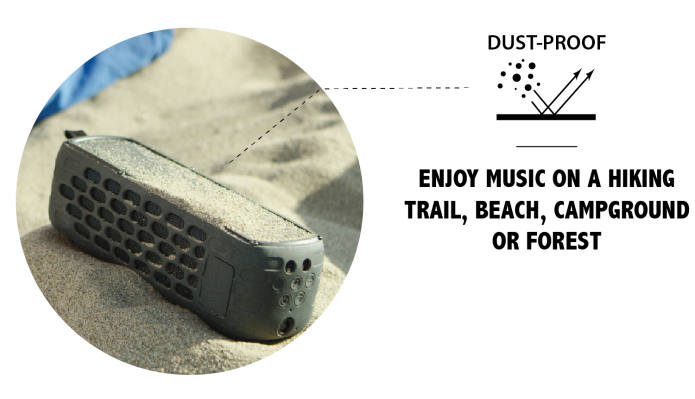 Surrounded 360° with rubber mesh makes SolarBox perfect for listening to your music on a hiking trail, beach, campground or forest. 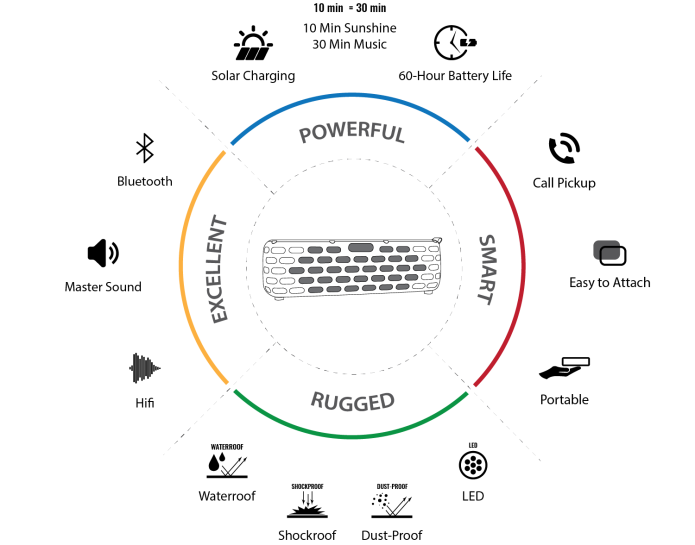 The high power LED light is specifically designed for outdoor enthusiasts. 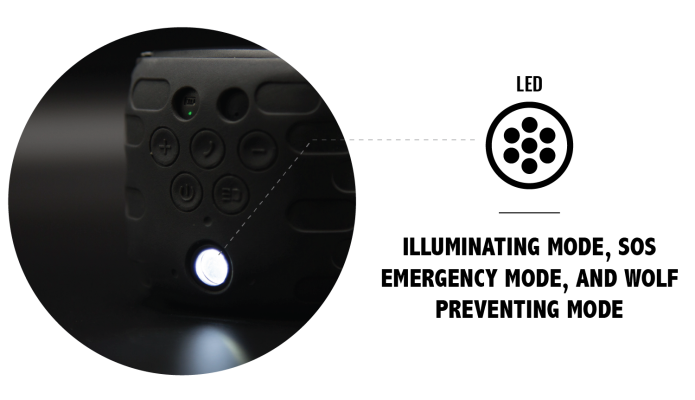 There are various modes of this light, such as illuminating mode, SOS emergency mode and wolf protection mode. 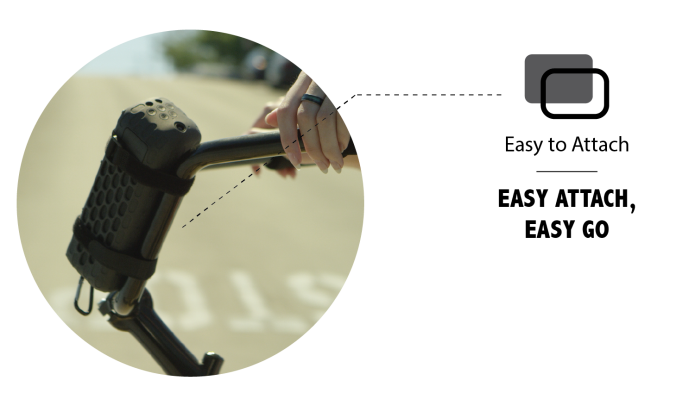 Easily connect for the perfect hands-free solution or direct via its standard Aux input. Connect the SolarBox with your smart phones, tablets, or computers and enjoy the new generation of high quality wireless transmission technology. 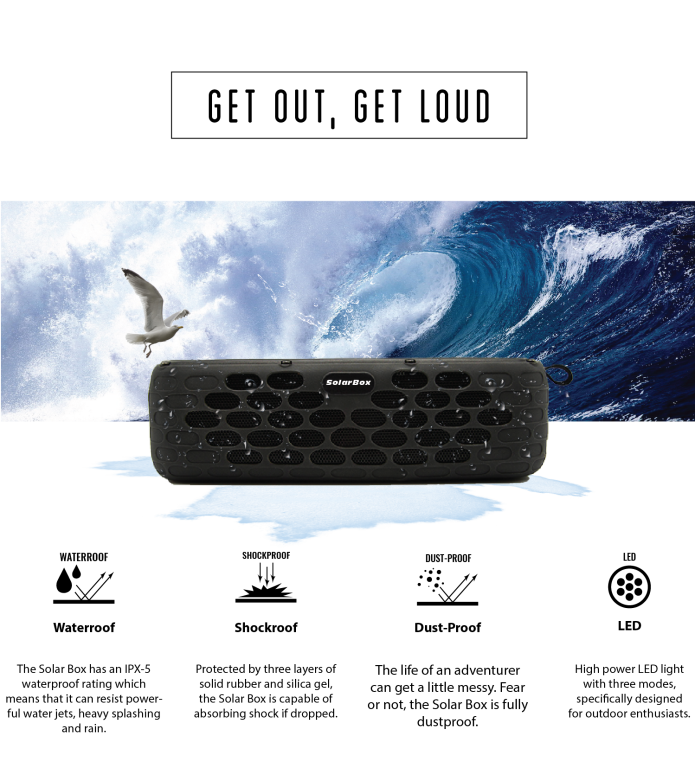 With detailed sound quality, ultra accurate speaker locations, expanded sound, and consistent high quality transmission via Bluetooth, make this, truly, the most epic listening experience you will ever have. The SolarBox is amazingly powerful and cool for a speaker of this size. 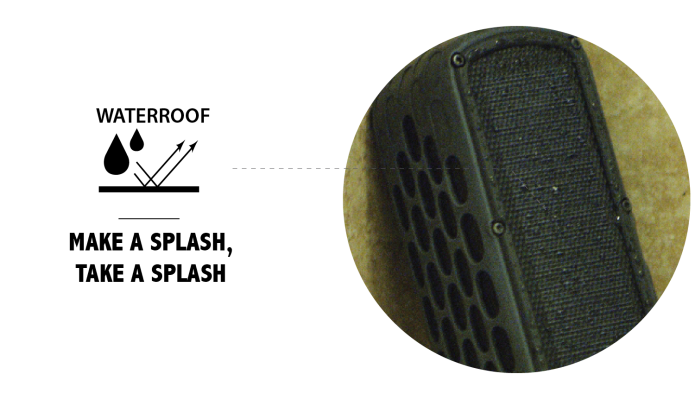 Its frequency is between 100 Hz-18,000 Hz, and the sound distortion rate is lower than 0.1%. 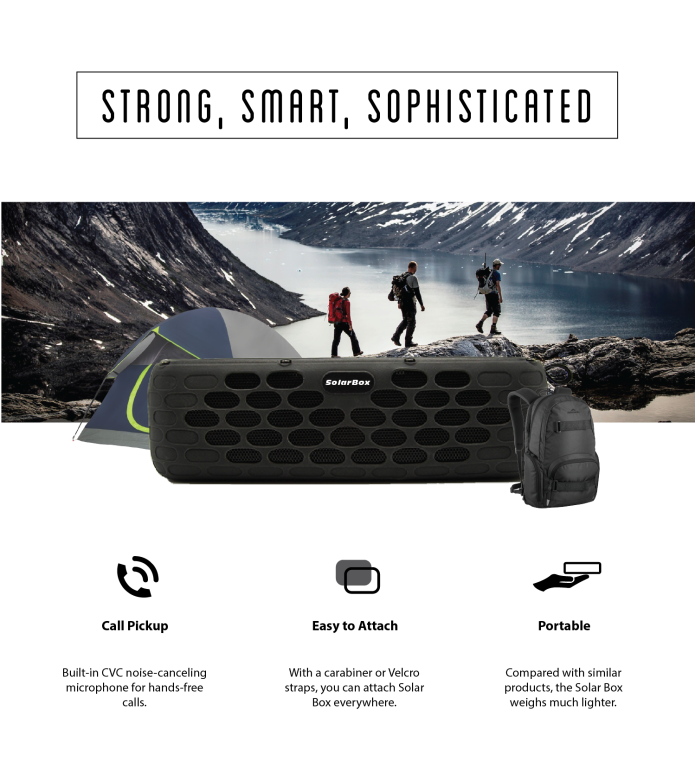 With a balanced frequency and highly accurate digital signal, the stereo sound will impress adventurers & audiophiles. Connecting the SolarBox with your devices, you need only press a button to pick up or hang up the phone. 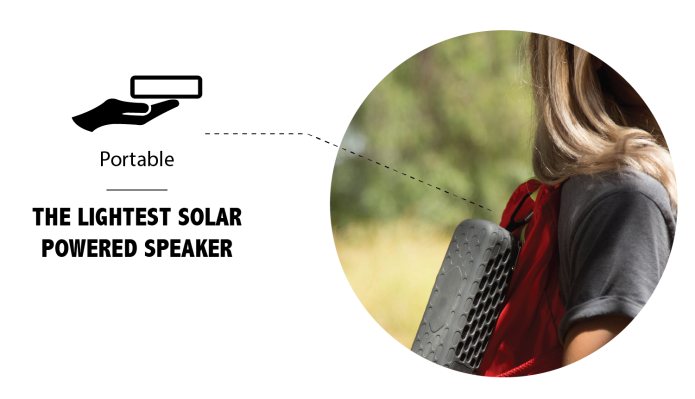 By simply using a carabiner or the hook loop, you can attach SolarBox to your bicycle, motorcycle, backpack, tent, or even a tree branch. 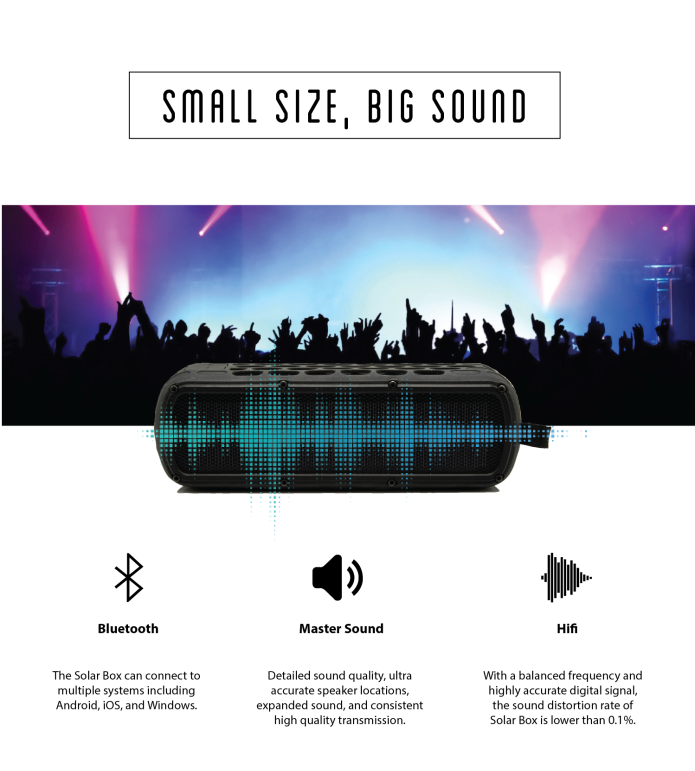 As the world’s smallest and lightest solar powered speaker, the SolarBox can bring the party everywhere! Test video — shows the functions of solar charging, Bluetooth connectivity, LED light, call pickup, etc. 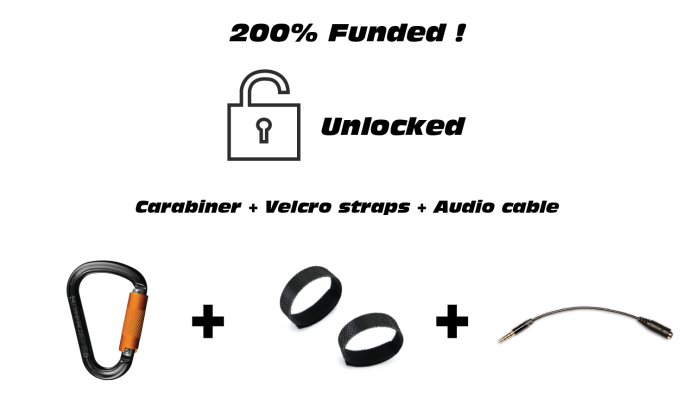 Our team is focused on the R&D of Bluetooth speaker, digital camera, portable battery, and other digital products. 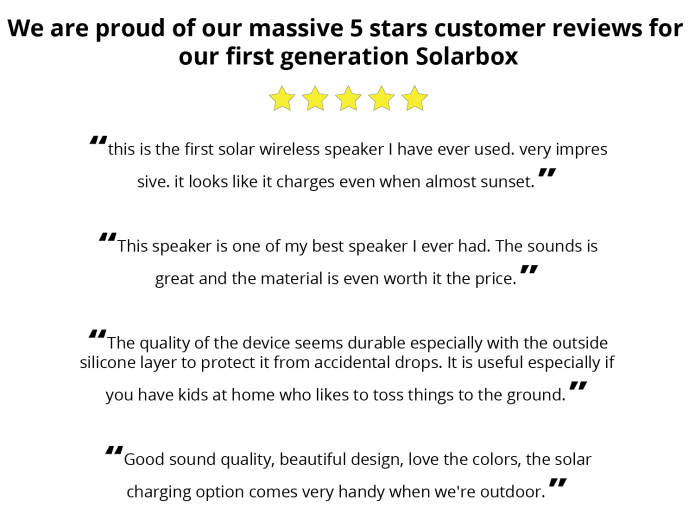 Our products were have been sold in China, Southeast Asia, Europe, and America. 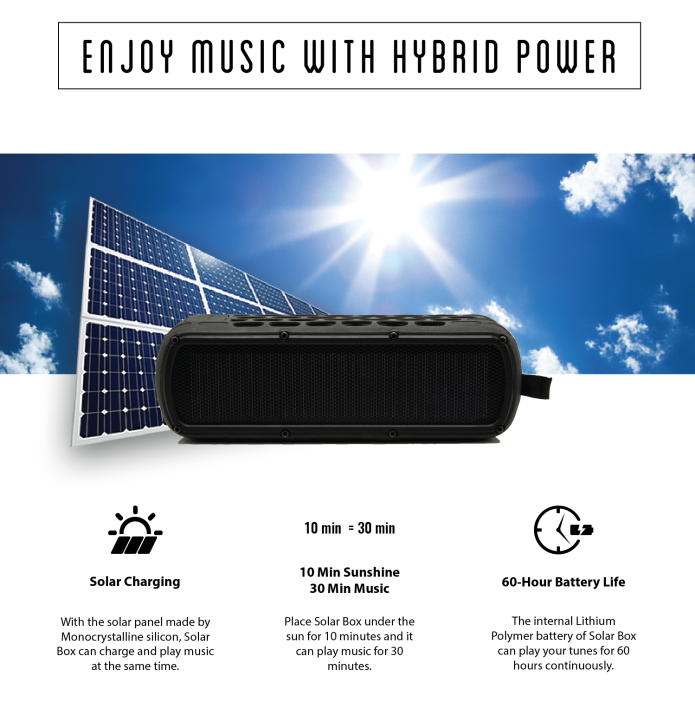 We created SolarBox, the portable solar powered wireless Bluetooth speaker for outdoors, with mainstream CSR Bluetooth module, imported audio power amplifier, and Hifi speaker to benefit people and let them enjoy high quality music. 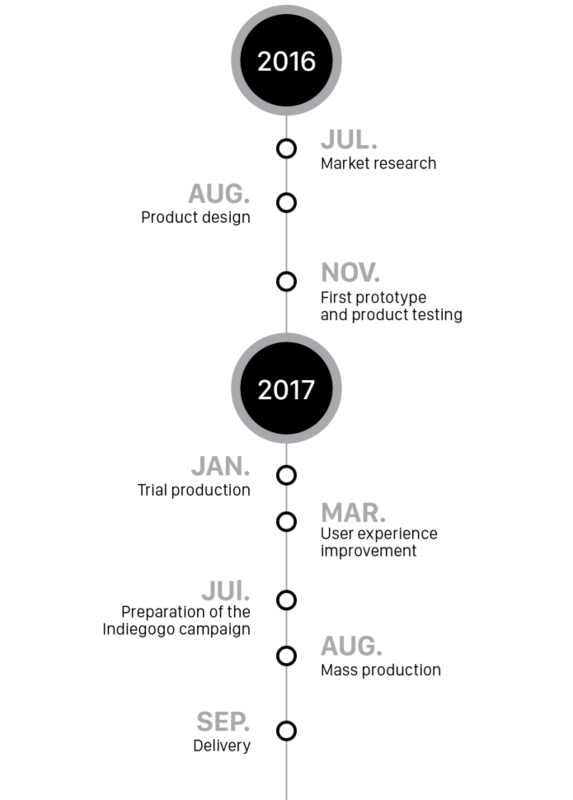 Furthermore, we are willing to be the earliest supporters and participants of the creative products. 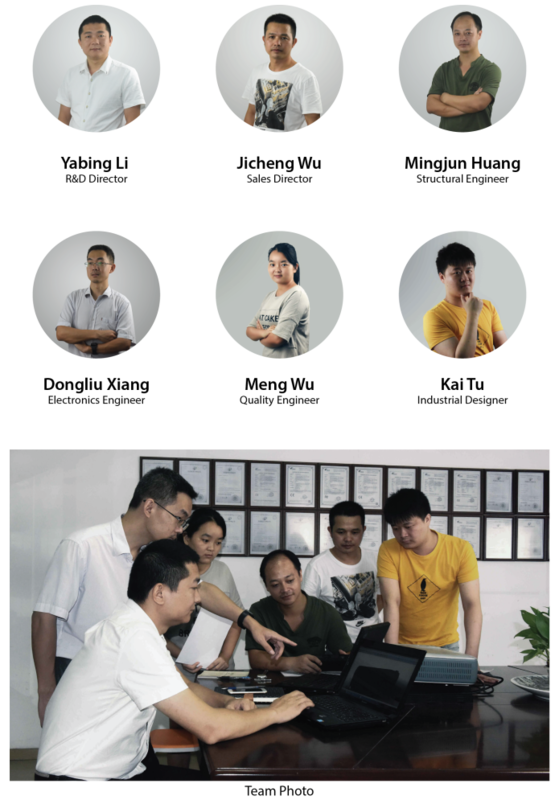 We hope to gather a group of friends who are just like us, so that together we can seek for the latest technology products, share the product experience, provide suggestions for the products before mass production, and help the products to become reality. 1. How to connect my device to the SolarBox with my device? a. Long press the power switch and turn the power on. 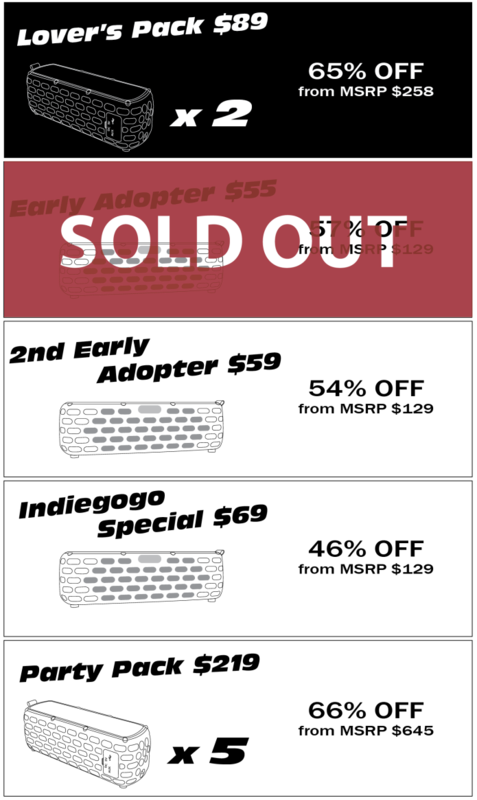 The red and blue Bluetooth indicator will flash alternatively. b. Search the Bluetooth signal of nearby devices through your device and select “Solar Box”. 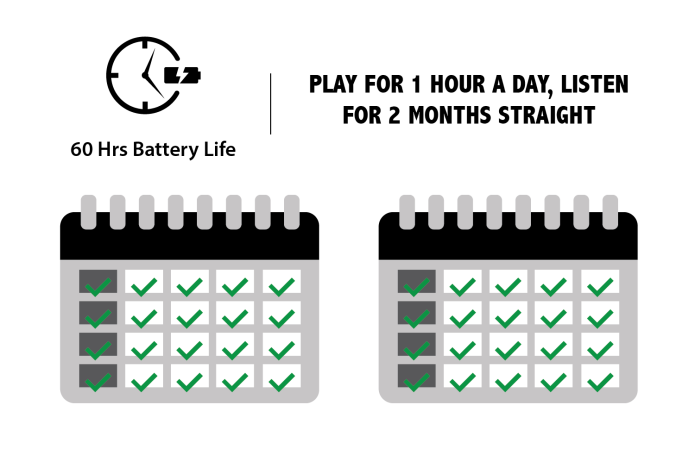 Once the devices are connected, the blue indicator will keep lightening. The indicator will keep blinking when any data is under transferring. 2. How to answer and dial out phone calls? a. When the SolarBox is connected to your smartphone, short press the “answer/play/pause” button to answer the phone call. Short press again to hang up the call. b. Long press the “answer/play/pause” button to dial out the last call. 3. How to switch songs? a. Short press the song/volume+ button to switch to the next song. b. Short press the song/volume- to switch to the previous song. 4. How to adjust volume? a. Long press the song/volume+ button to increase the volume. b. Long press the song/volume- button to decrease the volume. 5. Are there any safety tips when using the SolarBox? a. Please use charge the SolarBox with DC 5V/1A output. b. Avoid any chemical liquid. 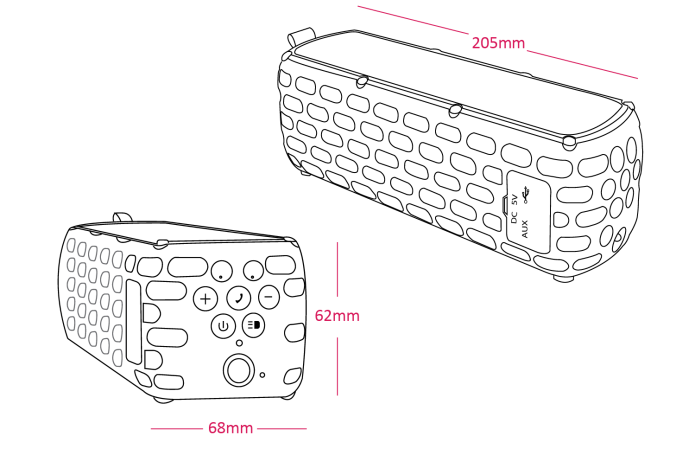 c. Avoid heating source with high temperature. 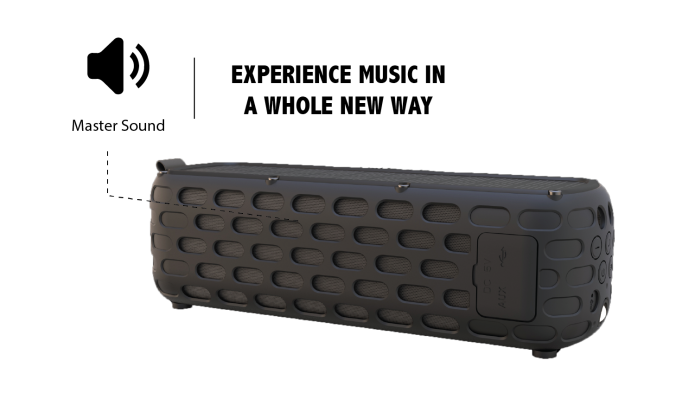 Solarbox Now is on indiegogo marketplace.